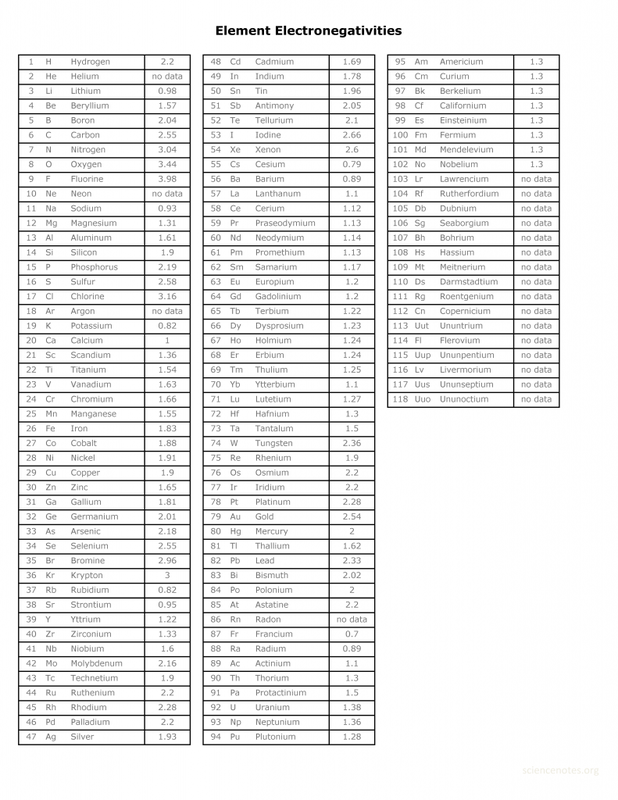 This electronegativity chart PDF is a useful reference tool for the elements and their electronegativity values. Electronegativity is a chemical property which describes how well an atom can attract an electron to itself. Values for electronegativity run from 0 to 4. Electronegativity is used to predict whether a bond between atoms will be ionic or covalent. It can also be used to predict if the resulting molecule will be polar or nonpolar. This information is available in periodic table form as well. 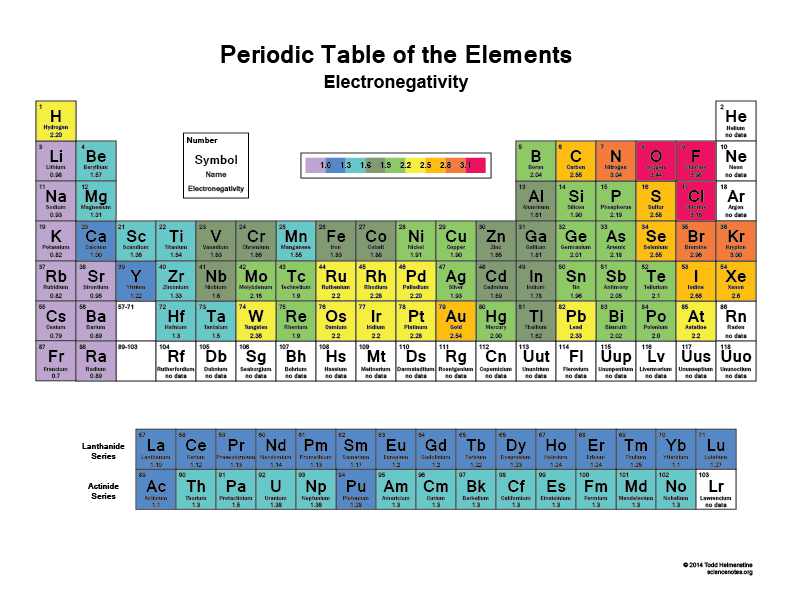 This color periodic table shows the trends of electronegativity as you move around the table. Click the image for a full-size or download a PDF.